After a hot and sticky morning’s sightseeing in Barcelona, one of the best ways to cool down is to go for a dip at one of the many beaches lining the bustling seafront. Nowadays, the city’s coastline is a far cry from prior to the 1992 Olympic Games, when a few shabby “chiringuitos” (beach bars) lined the Barceloneta promenade under the backdrop of ramshackle apartments, the sand was dirty and dusty and poverty-stricken shanty towns provided the backdrop to some of the beaches further along, such as Somorrostro beach. Thankfully the area has now been re-developed into a stunning stretch of different sandy beaches, sparkling contemporary buildings and amenities for all kinds of beachgoer. 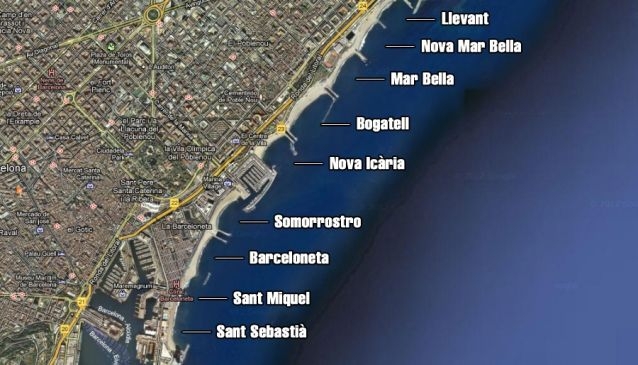 Whether you choose to go to Barceloneta, Sant Sebastià, Sant Miquel, Somorrostro, Nova Icària, Bogatell, Mar Bella, Nova Mar Bella, or Llevant beaches, all of them have a different personality, but what they do all have in common is their vivacity, excellent facilities and eclectic mix of people. Amongst the multitude you can find families with kids, groups of schoolchildren, bronzed locals, tourists and a quirky crowd practicing capoeira, juggling, playing drums or volleyball. Hawkers mingle amongst the sunbathers selling wares such as sunglasses, watches and jewellery, in addition to massages and henna tattoos, albeit not very recommendable due to recent health concerns. 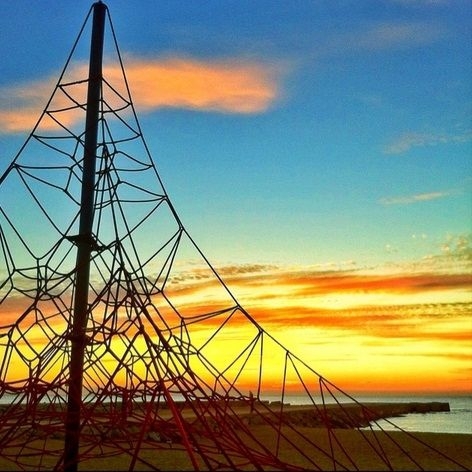 But Barcelona’s fantastic beaches are not just about chilling out and sunbathing, there are plenty of things to do for more active visitors, with a plethora of watersports to choose from and plenty of space to be shared by strollers, bikers, rollerbladers and skateborders. For thirsty and hungry beachgoers the seafront has scores of buzzing beach bars and restaurants some of which turn into throbbing nightclubs when the sun goes down. In the midday heat, there’s nothing quite like a paella and jug of sangria in the shade at one of the many “chiringuitos”. If you’ve forgotten a book to read, pop into the “Biblioplatge” (beach library) on the Mar Bella or Barceloneta beaches. These stock a large range of books, magazines and newspapers in English and other languages. If the kids are bored you can even hire spades, buckets and petanque sets at the Centre de la Platja next to the Hospital de Mar. In the summer months San Sebastià beach even hosts an outdoor big-screen cinema showing films with English subtitles. It’s free of charge and a great way to chill out on a warm night. For a completely different bathing experience, make your way right to the end of the seafront to the Fòrum bathing area, a new beach-concept, ideal for those who hate the sand! It’s a quiet and safe swimming area with facilities for a wide range of watersports. It’s also worth turning back from the beach to marvel at the surrounding architecture. 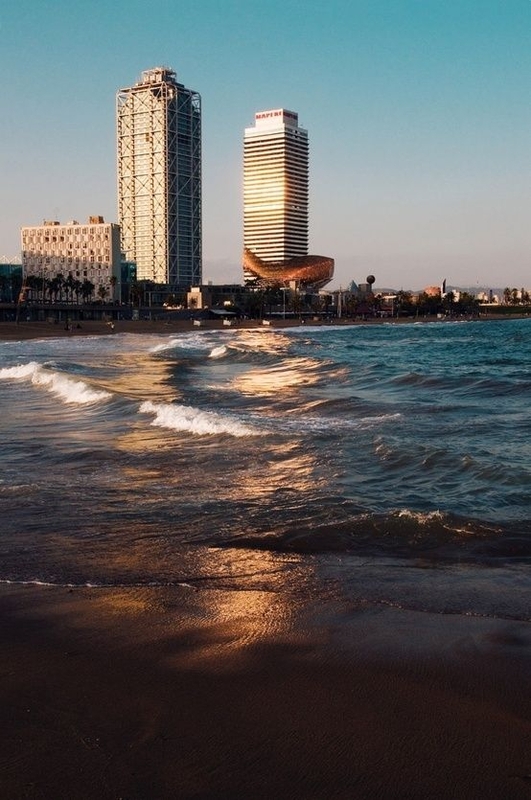 Dominating the beachfront skyline are Barcelona’s 150-metre high twin towers, the Torre Mapfre and the Hotel Arts and right next to them is Frank Gehry’s sparkly golden fish, probably the most stunning structure on the seafront. 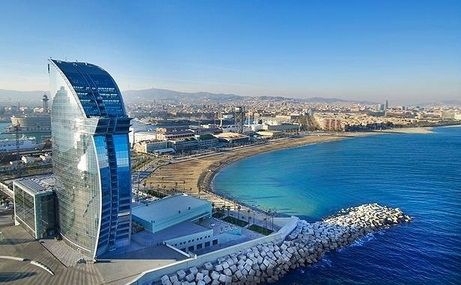 One of Barcelona’s most modern buildings “el Vela” is located at the end of the promenade, an amazing mirror-clad construction reflecting the sky and sea and housing restaurants, bars and a luxury hotel boasting fantastic views of the beach. 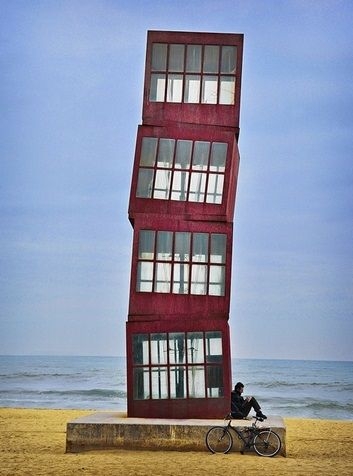 Rebecca Horn’s bizarrely stacked sculpture “Homage to Barceloneta” is also an amazing sight. Out of season, a great way to see the beaches is by hiring a bike and cycling along the seafront cycle path from the Barceloneta to the Fòrum. Another fun alternative is to take a segway tour from the old harbour to the new Fòrum area. So whatever beach experience you are looking for, Barcelona’s nine stunning beaches offer something for all kinds of visitor all year round.